He is proud of successfully taking a traditional hardware business online, says AUT business alumnus Yaowen (Daniel) Hu who plays a leading role for HOPPE AG’s operations in China. “While HOPPE is a traditional hardware business that designs, produces and crafts high-quality door and window handles, I made the decision to take our business online at the end of 2017. I believe this change showed our confidence to take initiative and manage risks. In his role at HOPPE AG, Daniel oversees the firm's corporate technology development, sales and communication activities to further the company’s growth. He is also responsible for the operation and development of the group subsidiaries in the Greater China Region. “Working for HOPPE is fun and challenging. I have to constantly come up with solutions for new business challenges. Because this is such a multicultural working environment, I can collaborate with our global team and frequently travel to other regions. 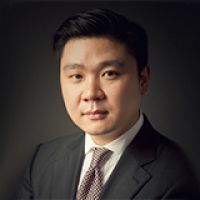 In addition to his responsibilities at HOPPE, Daniel is also the co-founder and a current board member of Adam Aubrey Technology Shanghai Inc, a regional leader in providing IT and A/V systems integration solutions. A passion for advertising first sparked his career in business, says Daniel who came to AUT as an international student from China and graduated with a Bachelor of Business in Advertising and Marketing in 2008. Daniel believes that the skills he learned at AUT enabled him, as a young business professional, to add new thinking to his team, and be responsive to new trends and technologies.